The SMDM 40th Annual Meeting is pleased to announce that it is certified as a Patients Included Meeting. 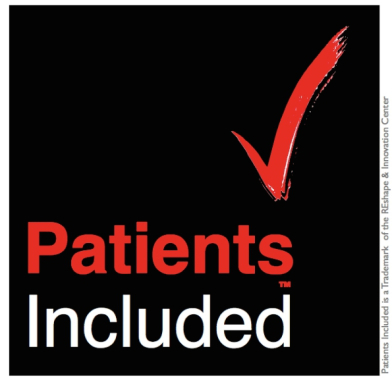 Visit the Patients Included website to learn more about the certification program. 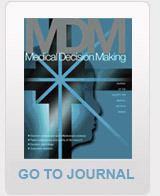 In keeping with the mission of the Society for Medical Decision Making to improve health outcomes of patients and the public through the advancement of proactive systematic approaches to clinical decision making and policy formation in health care, we are pleased to now include patients throughout research and meeting sessions. 1. Patients or caregivers with experience relevant to the conference’s central theme actively participate in the design and planning of the event, including the selection of themes, topics, and speakers. The 40th Annual Meeting Planning Committee includes one Patient Partner and one Caregiver Partner as two of four co-chairs. These co-chairs are involved in every aspect of planning the scientific program, including selecting speakers, and advise SMDM on ways to best involve patients at the meeting. 2. Patients or caregivers with experience of the issues addressed by the event participate in its delivery and appear in its physical audience. Patients are invited to attend the meeting and are welcome to actively participate in all meeting sessions. The keynote address session will include responses to the talk from Patient and Caregiver Partner co-chairs. Patients will be presenters on symposium panels and encouraged to speak from the audience during Q&A’s. 3. Travel and accommodation expenses for patients or carers participating in the advertised programme are paid in full, in advance. Scholarships are provided by the meeting organizers to allow patients or carers affected by the relevant issues to attend as delegates. SMDM will provide at least five scholarships for patient and caregiver attendees thanks to funding from a Patient-Centered Outcomes Research Institute Engagement Award. Our goal is to provide scholarships to as many patients or caregivers to attend as delegates as the budget allows. The scholarships provide stipends for travel, meals, meeting registration and lodging (if necessary), all of which will be paid in full, in advance by SMDM prior to the meeting. The scholarship program will be launched June 1, 2018. Information and application instructions will be provided on the #SMDM18 website. SMDM extends discounted meeting registration rates for patients or caregivers who do not receive a scholarship. Please contact info@smdm.org with any questions or to register for the meeting as a patient or caregiver. Annual Meeting registration will open in August 2018. 4. The disability requirements of participants are accommodated. All applicable sessions, breakouts, ancillary meetings, and other programme elements are open to patient delegates. The 40th Annual Meeting will be held at the Fairmont Queen Elizabeth hotel in Montreal, Canada, which is accessible for all participants. An attendee lounge will be available onsite for meeting attendees to rest between sessions. Offsite events are also being planned and these events will be accessible for all participants. All meeting sessions and offsite events are open for patient delegates to attend. A block of accessible hotel rooms is available at the Fairmont Queen Elizabeth hotel. Please contact the hotel directly for specific questions about accessibility. 5. Access for virtual participants is facilitated, with free streaming video provided online, wherever possible. The Twitter hashtag #SMDM18 will be actively used before, during, and after the event to highlight scientific discussion for both meeting attendees and those unable to attend. The Annual Meeting features a Social Media Committee who will facilitate active discussion on Twitter via the hashtag with virtual and in-person attendees. SMDM will post presentations of those speakers who agree to have their presentations made public on its website for viewing after the meeting. Please contact SMDM (info@smdm.org) with any questions.